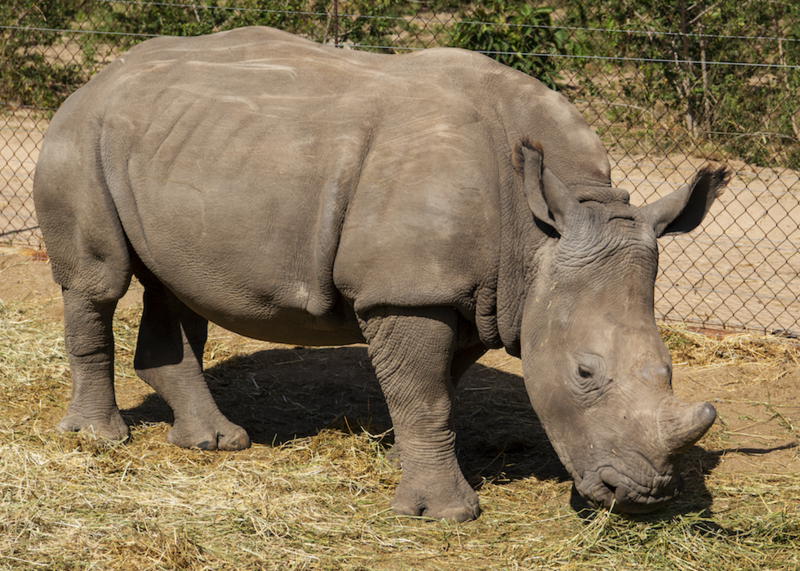 Khulula, another orphaned rhino arrived at HESC in May 2016. We got a call from the Thornybush Nature reserve on the morning of Saturday 21st May 2016. One of their rangers had spotted a white rhino calf wandering on it’s own, smeared in blood, and they asked for our assistance. 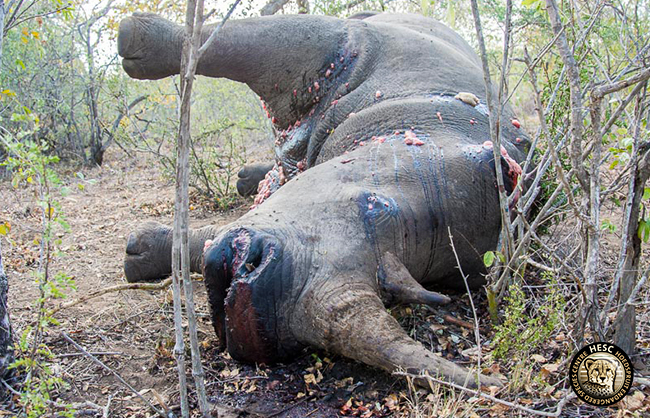 By the time we had arrived, the carcass of the little rhino’s mother had been found, with her horn intact. It was clear that the blood on the calf was her mother’s, who had been dead for approximately three days already. She had been shot, and survived a few days before her death. The poachers must have been disturbed. 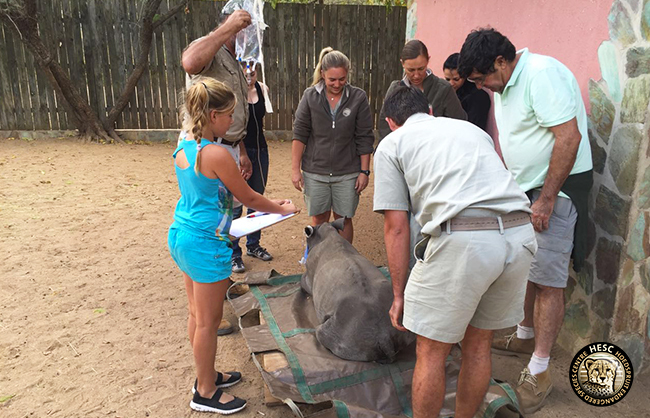 This newly orphaned rhino cow was approximately five months old and weighed 133Kg’s. We decided to name her Khulula (which means ‘to rescue’ or ‘set free’ in isiZulu). It took quite some time for Khulula to gain the trust of the team at HESC, becoming aggressive at times, and always skittish. Who know’s what this little rhino had been through. But with time, she began to relax and become for comfortable with her home. Fortunately we have had not health issues with her, she started eating healthily and had a healthy and steady weight gain. It was not long before she made some new friends at HESC, namely Olivia, Nhlanhla and little Muddy ( who sadly, passed away due to a heart condition). Her lovable personality emerged over time, though she has always remained very cautious of loud noises or strangers. She is very docile and always followed someone else’s lead, without a fuss. Olivia has always been her special rhino friend, right from the start. And they still continue to hold that special bond, living together with Nhlanhla, Lula, Stompie and Balu. 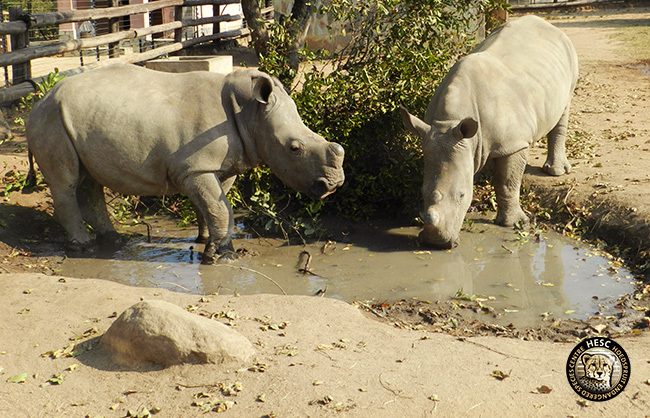 Stompie (left) and Khulula (right). We appreciate all the support from everyone for Khulula and her friends. 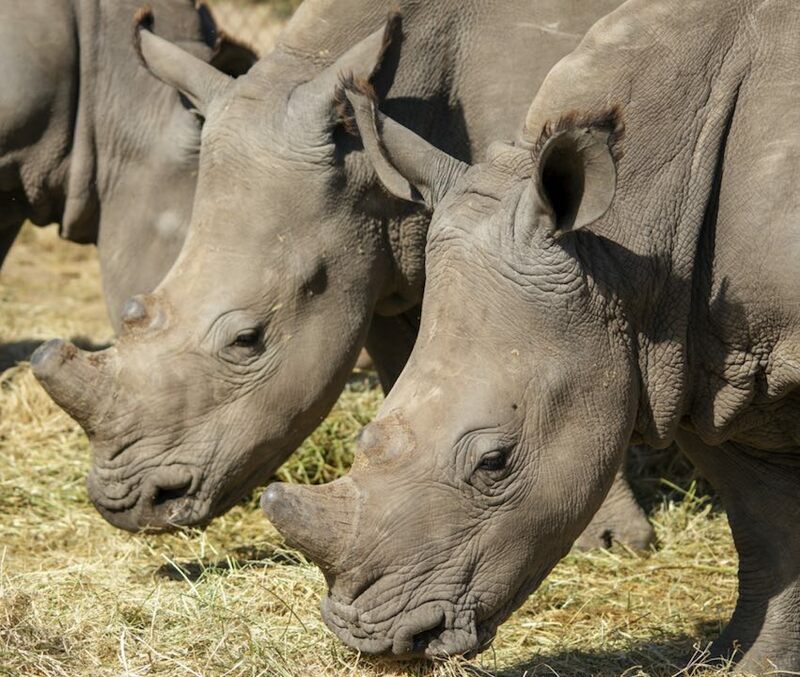 We are proud to see her become such a robust and content young rhino cow. 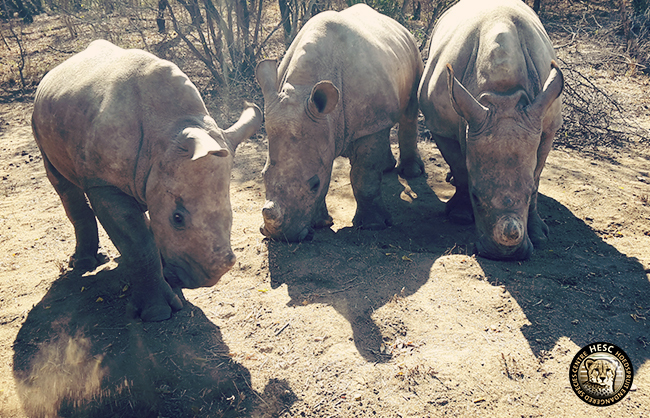 We have various fostering options, if you would like to foster Khulula or any of the rhino’s. We rely solely on donations to keep them safe and well looked after. Your work is so admirable, to give these poor orphans a save place to live a happy life, thank you. Let us know if you come right?